The #BA Basket Attachment fits into the #PTA Picket Twister which in turn fits onto the UB-5, UB-5H, or the OIWS. 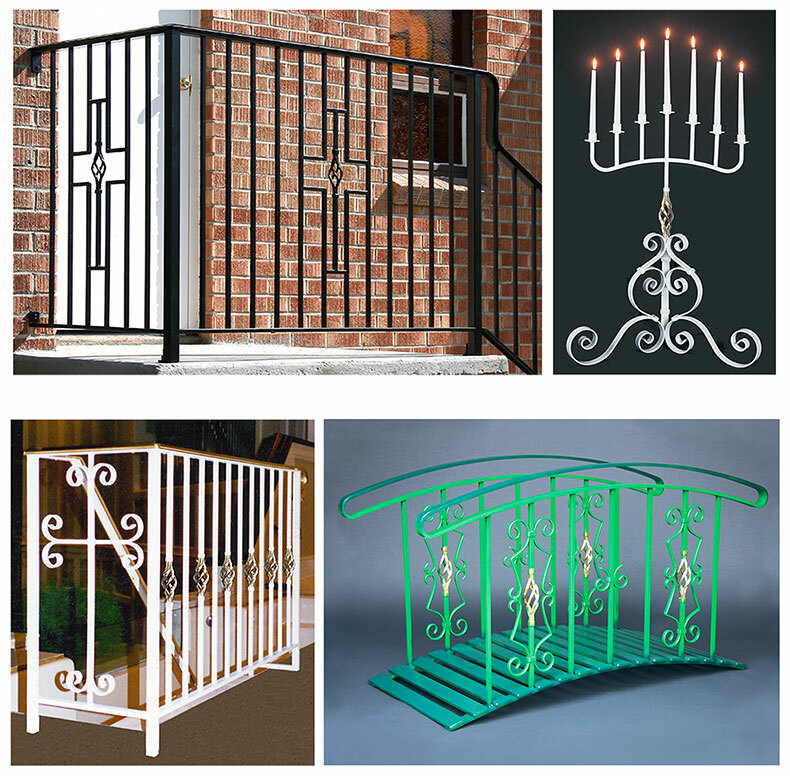 If you’re primarily interested in fabricating ornamental ironwork you may want to acquire an OIWS Ornamental Ironwork Station. All three ornamental attachments come with it. For more information click the OIWS button in the right column. 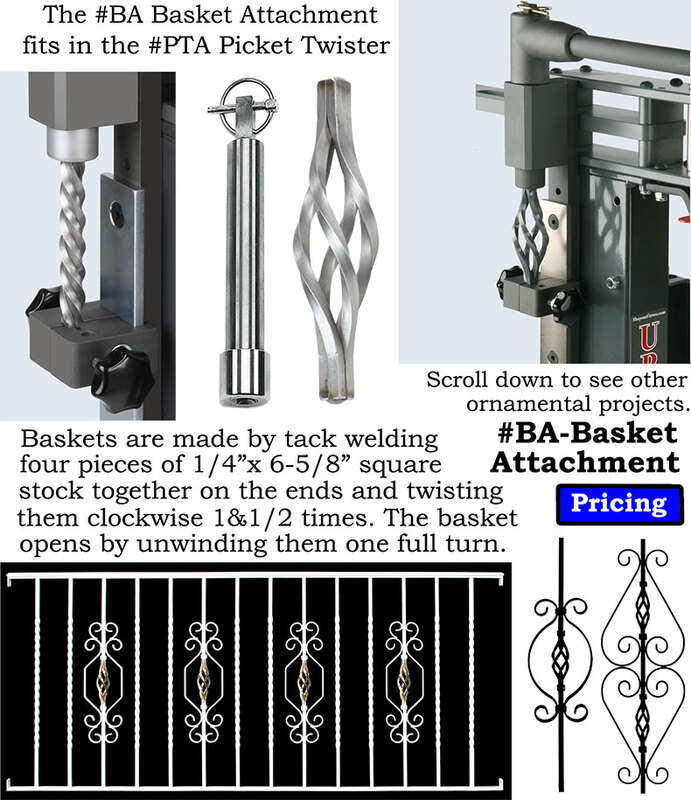 Click on the Ornamental Scroll Designs and Patterns button to see other design applications for the use of baskets.